Have you seen the 1959 version of The Diary of Anne Frank? If you have not and you are interested in Anne Frank and that part of our history, I do recommend you see this movie. It is a black and white film so be prepared for that. It is a simply done film on a set that is a replica of the Annex where the Frank family hid for two years. I have been in the Annex so I particularly enjoyed that aspect of this film. It is a well-done representation of the tensions that two families experienced living in a situation with the constant threat of discovery hanging over their heads. This version of The Diary of Anne Frank is available on DVD and on blu-ray. 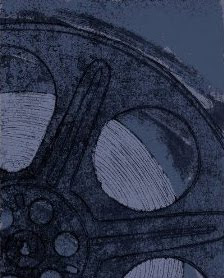 The DVD is said to be a definite improvement over the VHS version and the blu-ray version receives top marks and is recommended by the blu-ray experts. This film would be of interest to anyone who has read the story of Anne Frank's diary with the caution that it is considered inappropriate for children under 12 years old. Younger children may find the constant tension, the world events and the tragic ending of this movie a bit much. This movie was well received when it was released, receiving eight Academy Award nominations and winning three and it was well received by me. In the language of the experts, I would have to say, "RECOMMENDED." If you are interested in more information, you can read my full review at The Diary of Anne Frank (1959) Movie Review. There you will find more of my opinions about this movie as well as reviews from other consumers and movie reviewers and the original movie trailer. 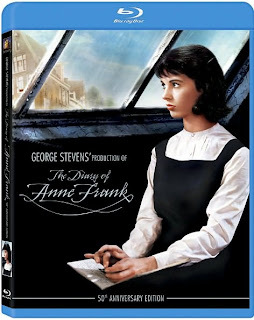 Buy your copy of The Diary of Anne Frank (1959) Movie on blu-ray or DVD from Amazon. More Anne Frank Movie Reviews on DVD and Blu-ray. Visit the Annex with my family. Hi Brenda, I saw your blog listed on the Giants blog. Great job! You've done a really good job here. Good luck on it! Good luck with Music & Movie Treasures Brenda - I love the layout and of course I love your writing style!